With a range of Level 2 and Level 3 nationally recognised qualifications, find your perfect qualification match with EMD UK. To receive your download, simply fill in your details below, click ‘Submit’ and you’ll be able to download your summary. Remember, if you’re an EMD UK member, you can access your full resource pack via your ‘My Resources’ page when you login. 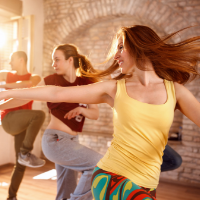 What does the group exercise market look like? 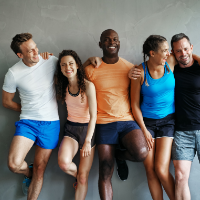 Get the latest group exercise statistics, as well as tips on how to strengthen your classes and upskilling opportunities. To receive your EMD UK National Survey 2018 summary, simply fill in your details below, click ‘Submit’ and you’ll be able to download your summary. After handy tips and tricks you can implement? Packed full of information to improve your visibility, our essential hacks is a must for fitness instructors. To receive your Essential Marketing Hacks for Fitness Instructors document, simply fill in your details below, click ‘Submit’ and you’ll be able to download your summary. If you’re looking to get more participants in your group exercise classes, you’ve come to the right place. We’ve teamed up with YouGov to produce some handy resources for group exercise instructors, with tips and tricks for you to try. They’re even backed by This Girl Can so check them out now. To receive your What Women Want summary document, simply fill in your details below, click ‘Submit’ and you’ll be able to download your summary. Please tick to acknowledge that you have read and understood the EMD UK Consent Privacy Notice and that we will contact you to let you know about group exercise activities/products/opportunities that we think you may be interested in.